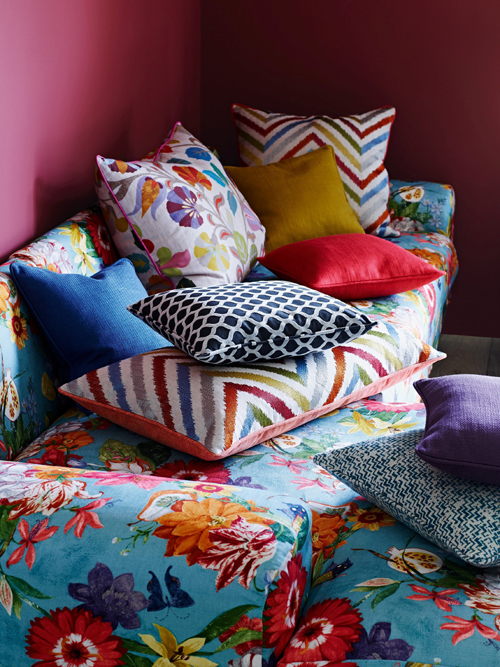 There is lots of lovely bold colour coming from Colefax and Fowler‘s collections at the moment which we are absolutely loving! There are four brands under the C&F umbrella and having had a good look through all the new collections recently, it was impossible to pick out just one to show you, so we are showing you a bit from them all! Softer, elegant colours from Colefax and Fowler – the curtain fabric is Lucius. A fabulous combination of colours from Jane Churchill – the curtain in the background is Versus Copper, Plato Charcoal is the cushion at the front and sandwiched in the middle are Orion in pink and burnt orange. 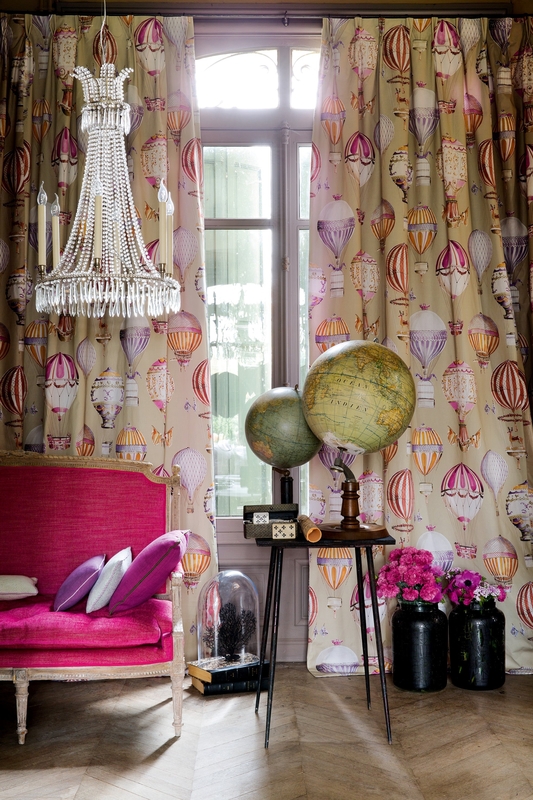 I just love this design from Manuel Canovas called L’Envol – it is a work of art in itself! And finally much more contemporary fabrics from Larsen with some delicious sharp accent colours.